This beautiful gold heart bottle opener makes such a fun party favor. 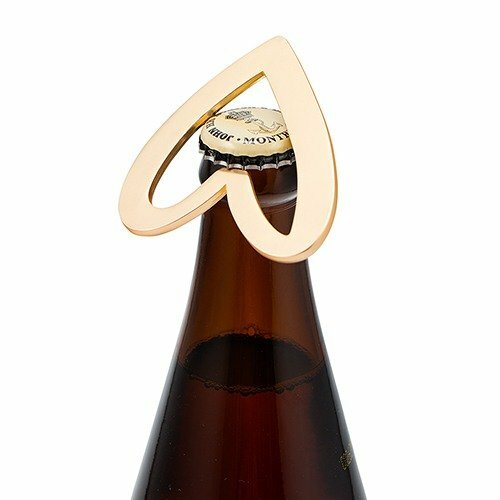 With a gold matte finish and "xoxo" etched onto one side, this bottle opener is both simple and chic. It's also great as a Valentine's Day bash favor! Includes trendy backer card.